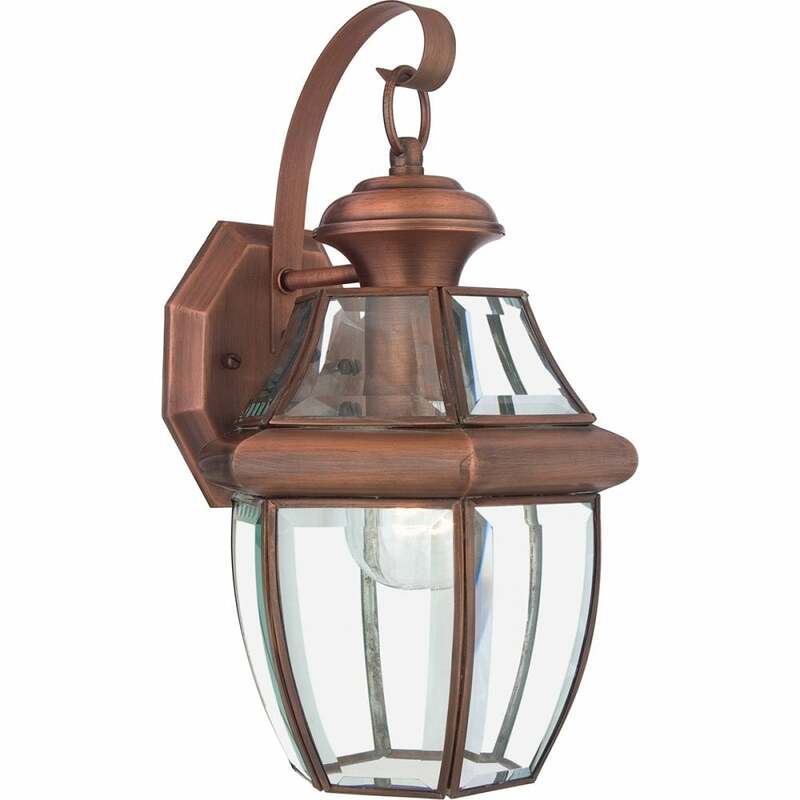 Elstead Lighting Quoizel Newbury single light medium fitting features a shapely wall plate and a curvaceous arm holding a stunning lantern style frame made from solid brass in an aged copper finish with clear glass panels. The product code for this Elstead wall fitting is QZ/NEWBURY2/M AC. The classic elegance of this timeless design will sit perfectly in any traditional or contemporary setting and is an ideal lighting solution for your outdoor space providing bright illumination. A versatile look that will co-ordinate with almost any architectural style. Also available in this Newbury collection from Quoizel are various outdoor fittings to co-ordinate this style all of which can be viewed and purchased via our website.